FULL RANGE NEW LAPTOPS AND PC'S. GREAT PRICES! COMPUTERS ARE BUILT TO LAST WITH HEAVY DUTY COMPONENTS SUITED MORE FOR OUTBACK POWER FLUCTUATIONS! WE CAN ALSO TRANSFER FILES FROM YOUR OLD PC TO NEW! PLEASE ASK! MOST BRANDS AVAILABLE! We freight Computer and Laptop Packages and accessories Australia Wide! We also specialise in all repairs of Pc's and Laptops! Ask about our low rates! 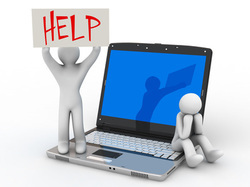 Ask our advice on all Laptops or Computer Needs! All repairs and upgrades! New and 2/hand package prices - OUR PRICES ARE COMPETITIVE. 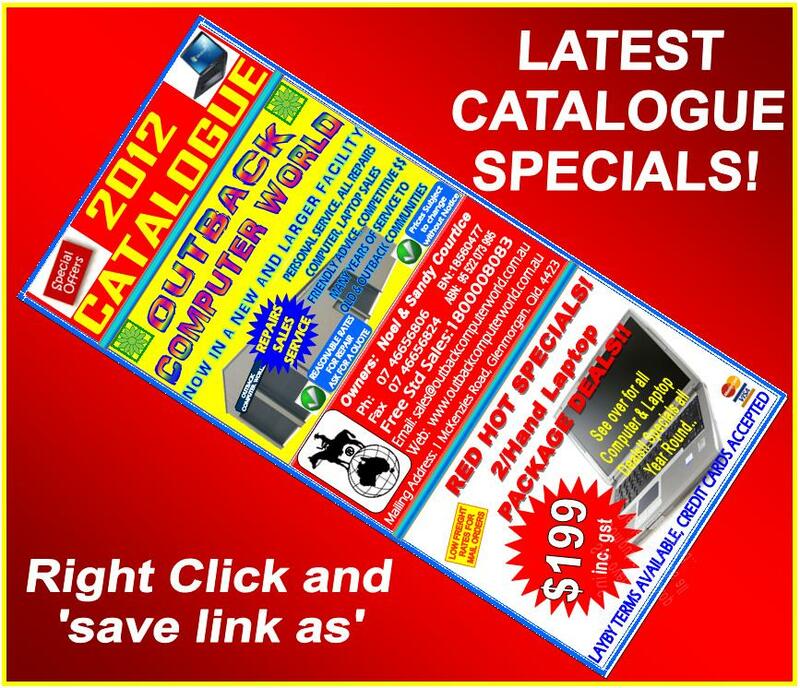 OUTBACK COMPUTER WORLD OFFER PRE-SALES ADVICE, AFTER SALES SERVICE, PHONE ADVICE AND REMOTE ONLINE HELP DESK! WE ALSO SPECIALISE IN REPAIRS OF PC'S AND LAPTOPS! As prices fluctuate, laptop and computer specifications increase rapidly, we always have current stocks available. Operating System is current on all new laptops and pc's. Outback Computer World do everything for you, all necessary software is installed including antivirus and antispyware programs, and most importantly all pcs & laptops are fully pre-serviced before dispatch! If distance is a problem, you also have the option to connect with online remote assistance. In this way we are able to assist with issues, transfer of files, photos, emails etc. PRICES SUBJECT TO CHANGE WITHOUT NOTICE !